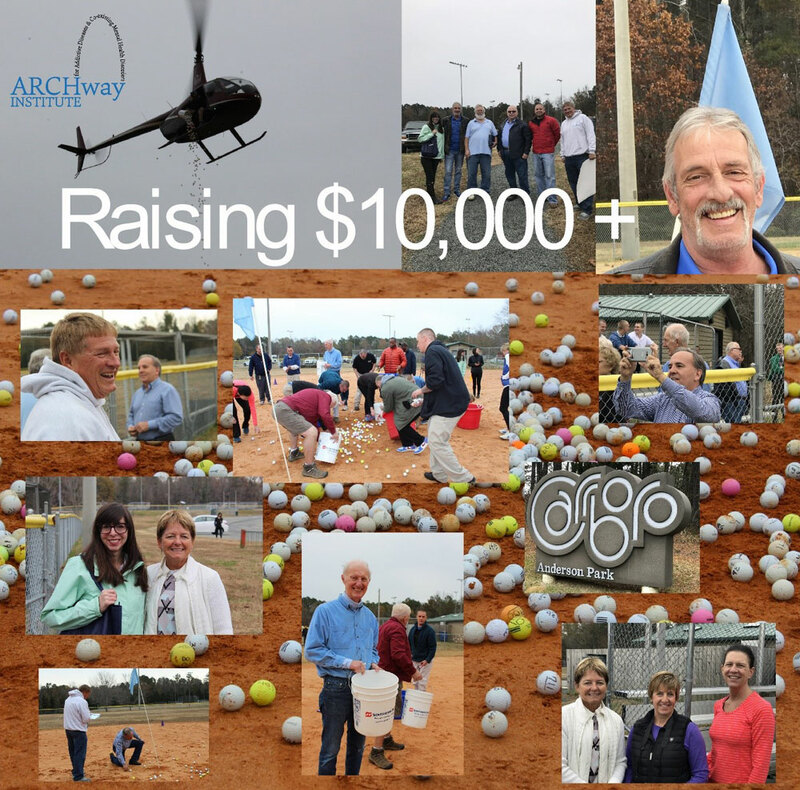 2018 ARCHway Institute, Chapel Hill – Carrboro Sunrise Rotary Club & TROSA Helicopter Golf Ball Drop Results This note is going out to the 550+ people who have supported this event over the last three years. We cannot thank you enough. This year we had 367 entries for the event and are excited to announce your efforts raised just over $10,000. These funds will be used by both TROSA and ARCHway as Scholarships to help individuals with a drug or alcohol addiction who want to be in a treatment program but currently cannot because of financial barriers. ARCHway Scholarships are typically around $500 which can make a huge difference in getting into a MAT Treatment Program or we cover the first month’s rent for a Structured Aftercare Program at a Sober Living Facility. This first month’s rent allows the individual to seek and obtain employment, so they can start to recover their life. Pictures from this year’s event can be found on Google Drive. The ARCHway Team want to thank the Chapel Hill-Carrboro Sunrise Rotary Club and especially Dave Stuckey for taking the leadership in their community to start the conversation about Alcohol & Drug Addiction Disease. With their leadership and support this event these last three years has raised $30,000 for Scholarships as well as help educate individuals, families and communities about the issues associated with this disease. TROSA is so grateful for all who recognize the importance of effective, affordable recovery options and supported the efforts of both ARCHway and TROSA through this event. Next year will mark TROSA’s 25th year providing cost-free comprehensive services to men and women with substance use disorders, but in no way could we do this without the help of so many supportive and generous individuals, foundations, and organizations. Our great thanks to all of our raffle participants; and especially to ARCHway and the Chapel Hill-Carrboro Sunrise Rotary for their vision, their dedication, and their heart. During this season of giving, it is our honor to give thanks for their wonderful partnership in our shared work to save lives! For more information about TROSA, feel free to visit www.trosainc.org and thank you all again! ARCHway Institute believes in Recovery from the Disease of Addiction. We mainly do three things to change the stigma attached to this disease and help individuals and families with their journey of recovery. ARCHway educates and brings awareness about this disease to individuals, families and communities. ARCHway helps families find the professional resources they need by being their advocate. 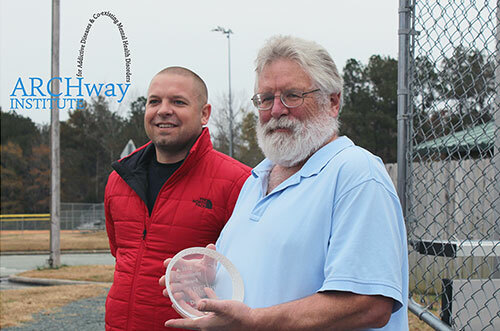 ARCHway raises funds that are used as Scholarships to help those that want to be in Recovery but currently cannot because of financial barriers. Stay up-to-date on our activities by Liking and Following us on Facebook .